Matthew Bietz makes furniture, installations, buildings, and skateboards. His group Quartertwenty explores the relationship between design art and furniture, which explains the breadth of the work they do. Bietz gained fluency in furniture and metalwork while working on a Master’s degree in architecture at the University of Washington. While attending school he got hands on experience working at Gulassa & Co., a Seattle custom fabrication shop. While at Gulassa & Co. Bietz had the opportunity to work on projects for Steven Holl and Tom Kundig. 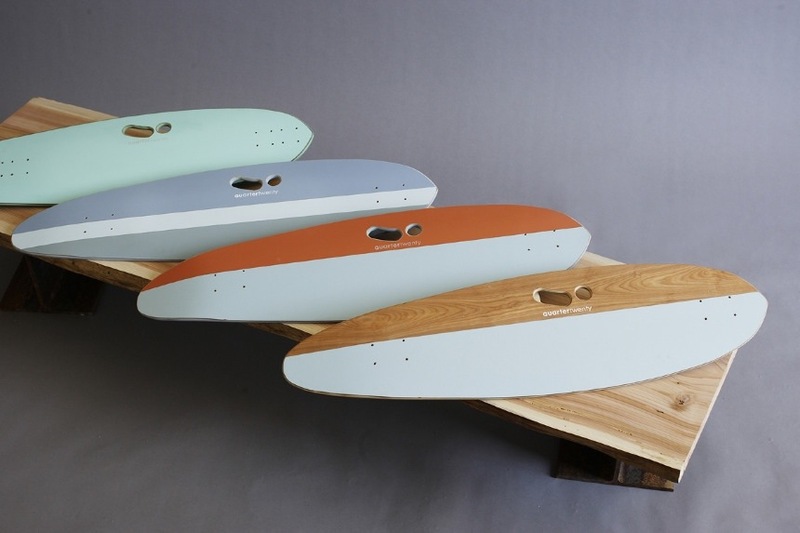 All that experience has influenced a line of skateboards he makes from baltic birch and recycled formica. The decks have a bright, no fade permanent color, and feature an original, ergonomic 3 finger handhold for easy carry. 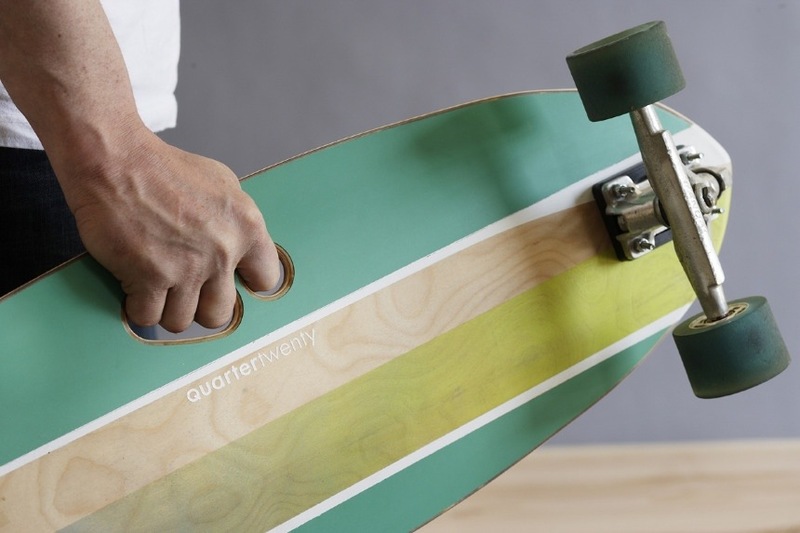 At 36 by 10 inches these long boards are made for cruising in style, with clean simple graphic stripes and exposed wood. I have to say, these are going on my want list. 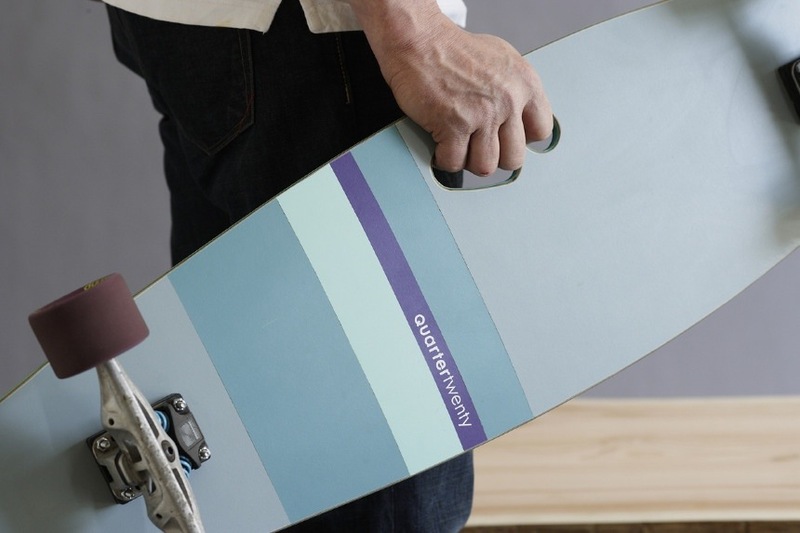 Posted in Design and Art, General and tagged Design Build, Furniture Design, Gulassa & Co., Longboards, Matthew Bietz, Quartertwenty, Seattle, Skateboards, University of Washington on July 4, 2013 by Author. ← Fracture IO. A New Kind of Photo Booth.